While we still haven’t seen anything official from the project just yet, as WB looks to keep the focus firmly on Wonder Woman and Justice League for the time being, rumor after rumor continues to crop up and today, we’ve got another one. This time, it comes to us courtesy of Screen Rant, who dug up the info on Reddit. Not the most credible of sources then, but we’ll give you the scoop and you can decide for yourself whether or not there’s any truth to it. It opens with some mellow piano music, showing Amnesty Bay with a voiceover from Momoa. The music then turns cinematic, Zimmer style I would say. We get various shots of the characters, Mera, Murk etc etc. The teaser ended with a really really cool scene of Arthur standing on a rock type thing and activates his trident and creates a massive wave. While it’s entirely possible that Warner Bros. is getting ready to roll out the first trailer for James Wan’s flick at Comic-Con, we can’t say for sure whether this description is accurate or not. It doesn’t sound particularly far-fetched, but again, given that it hails from Reddit, we’d advise taking it with a grain of salt. 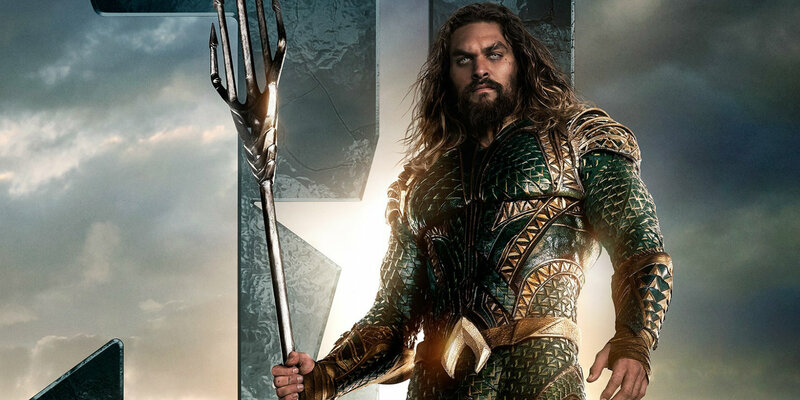 That being said, we’d be shocked if we didn’t get anything from Aquaman later this month as it’s by far one of the biggest projects lining WB’s slate as far as their DCEU efforts go. Not only that, but it’s also well into production and we’ve still yet to see anything official from it. It’s about time then that the studio peels back the lid and Comic-Con would be the perfect place to do so, don’t you think?